Blackberries (Rubus fruticosus) fit neatly into two useful categories.The first category is that they are ornamental and fit nicely into a landscape. 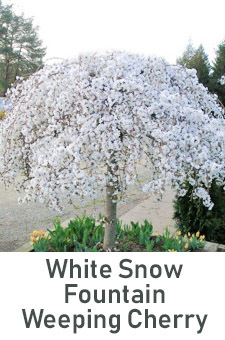 Besides their green spring and summer foliage, these attractive plants also display attractive fall colors. The second category includes the outstanding health benefits from the fruits produced. The delicious fruits contain a long list of desirable nutrients such as vitamins, minerals, anti-oxidants and dietary fibers. Blackberries are easy to grow, and they love acidic soils. To reach good production levels be sure the soil contains an acidic Ph. They also thrive and produce best in full sun and well drained soils, especially soils that are organic and sandy type.  Some blackberry plants are thorny, but Nature Hills offers thornless varieties too. A few examples of thornless plants are Chester, Arapaho, and Triple Crown. Blackberries are self-fertile so they do not need another pollinator to produce fruit. Since blackberries are great plants, have extras for birds and other wildlife, and be sure to grow some for yourself! For more information click on any picture, or call Nature Hills at (888) 864-7663.